Find thousands of places to play and promote your music by searching through our databases. Clubs, bars, festivals, coffee shops, etc. No limits. We have over 500 record labels to pitch your music to. 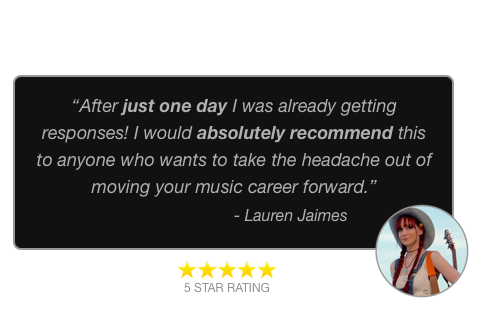 Click the pitch button and GigFaster will contact the venue, music promoter or record label on your behalf. We follow up until we get a response for you. You can track each pitch's progress in the member area. Start submitting to venues, record labels and music promoters today for the small cost of a couple burritos. Plans start at just $24 per month. 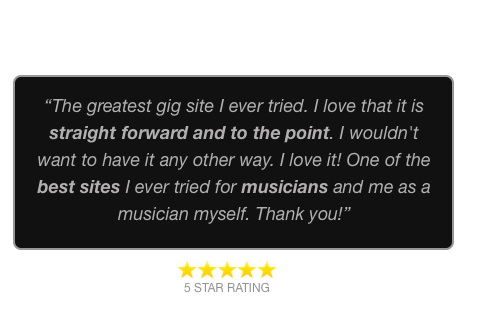 There are thousands of venues, music promoters and record labels actively looking for new artists. Submit your music today.